Social media presents a complex world for content. No longer is the value of a video, article, photo, or idea measured by the judgment of professionals, but by the engagement of the people; the value of content is determined by its ability to perform. 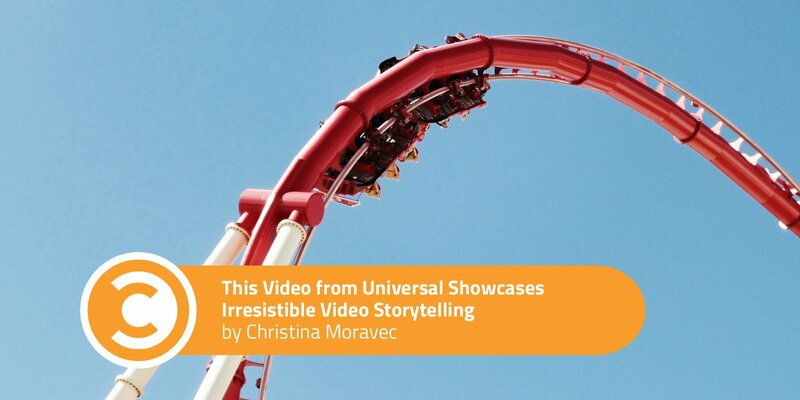 A video featuring exemplary storytelling, quality, and passion is not guaranteed to perform. To be favorable to the all-powerful algorithms, posts must instantly resonate and engage audiences. Who owns the formula for this perfect post could rule the world—for a week only, as the algorithm seems to be changing at an ever-increasing rate. 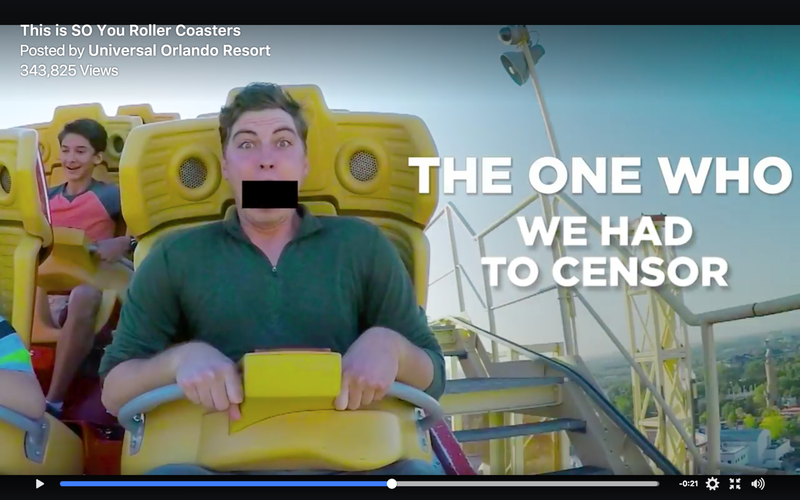 Warning: The post I am about to feature is in no way Universal’s best-performing Facebook video (obviously, because it contains no reference to Harry Potter, the park’s wonder child). However, it is best-performing in my heart—so loved, in fact, that I have bookmarked it to watch any time I am feeling particularly blue. For the record, I have not been to a theme park of any kind in 10 years at least. 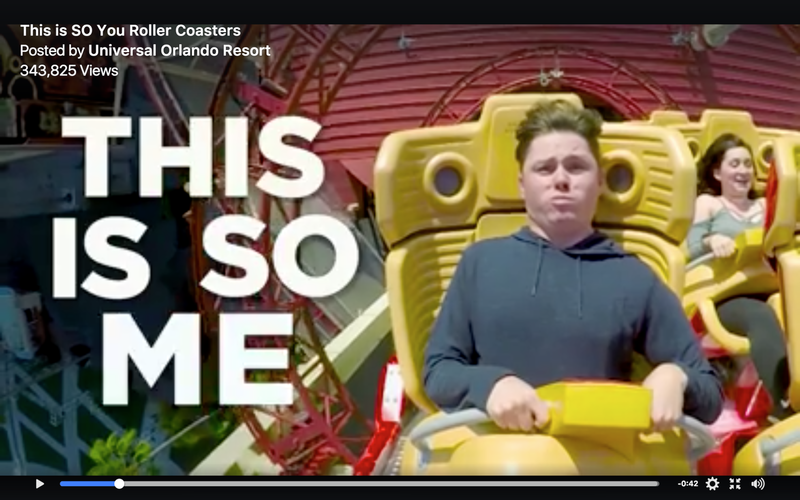 So don’t go thinking I love this video just because I am a roller coaster connoisseur. I am not. I am, however, a lover of videos that have impact—impactful sound, impactful messaging, and impactful visuals. To understand my undying love for this 47-second possessor of my heart, let’s go through my favorite clips, shall we? To the victorious notes of Offenbach’s “Infernal Gallop,” the video opens with some of the most engaging messages of our self-obsessed times: “This is so you,” and, “This is so me.” The psychology is not advanced, but the message is impactful. In truth, I want to be the woman in purple. I want to be that happy, that full of life. 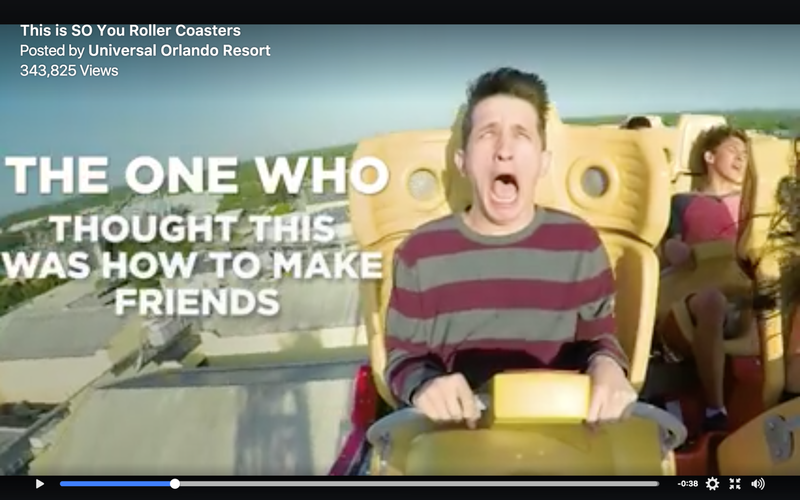 When the screen flipped to the man in the hoodie, I laughed out loud. A quick scan through the comments will show you the power of these two statements. Audience members were tagging their friends all over the place. Lit, man. What a word. You want to engage young people, you’ve got to use your language. Even if you come off sounding like a well-meaning dad, à la Jimmy Fallon’s Stepdad Gary, your efforts will be at least acknowledged. I’m going to be honest. I don’t get this caption, but who cares? His rolling eyes and gaping mouth are something we can all relate to. It’s also very, very memorable. Yes, it is the second time we see this character, but I couldn’t get enough. 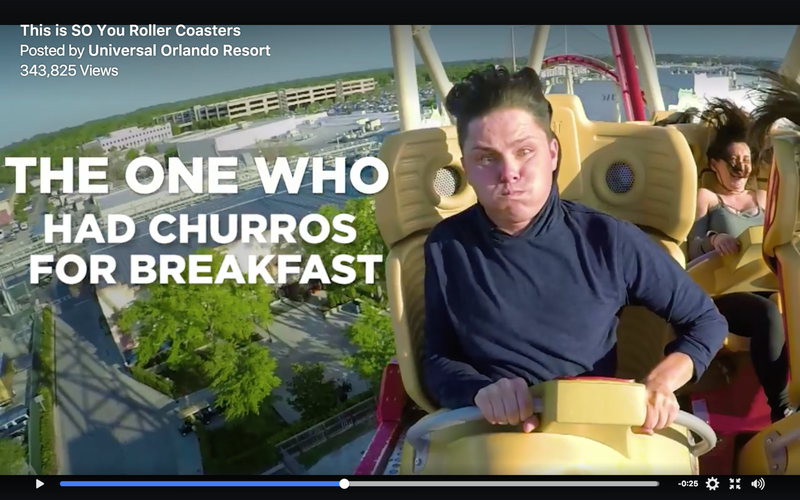 The genius of this caption is more than its hilarity—it’s Universal’s choice to name churros as the breakfast item. A traditional Spanish dessert, Universal gave a nod to a large segment of their audience. The proof, again, is in the comments. 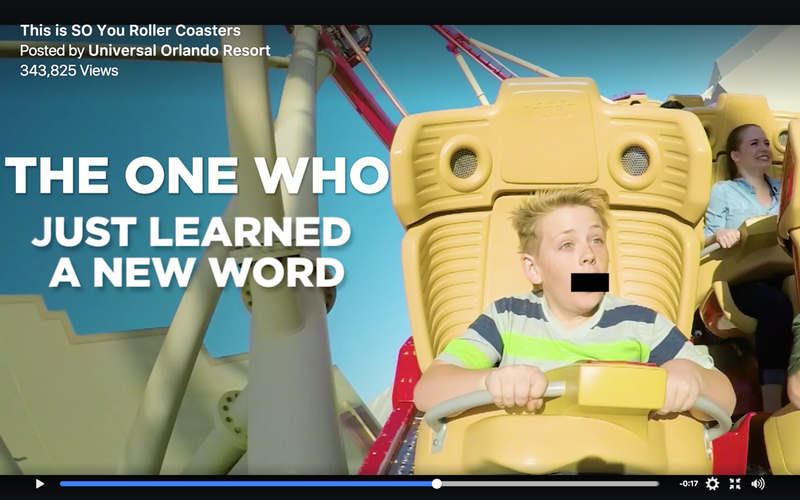 To the delight of many Spanish-speaking commenters, Universal replied enthusiastically, also in Spanish. This man is me. I know I said I want to be the happy woman in purple, but this one is me. 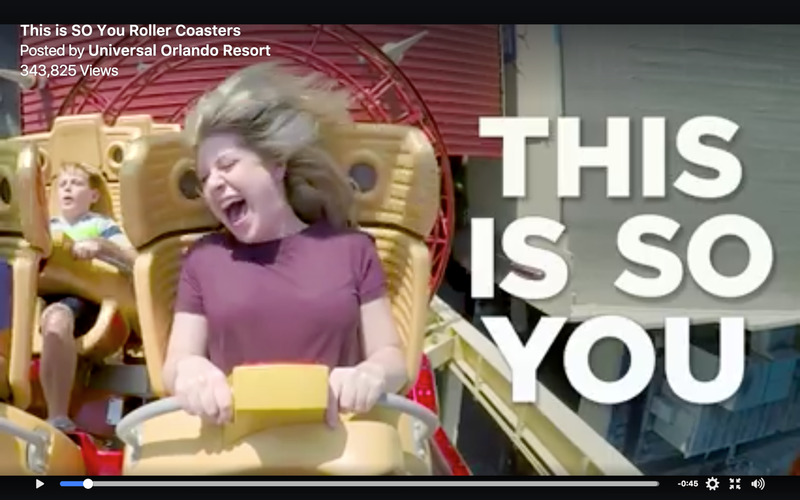 I wouldn’t be able to hold my favorite four-letter words back if on this roller coaster, nor would I want to, frankly. 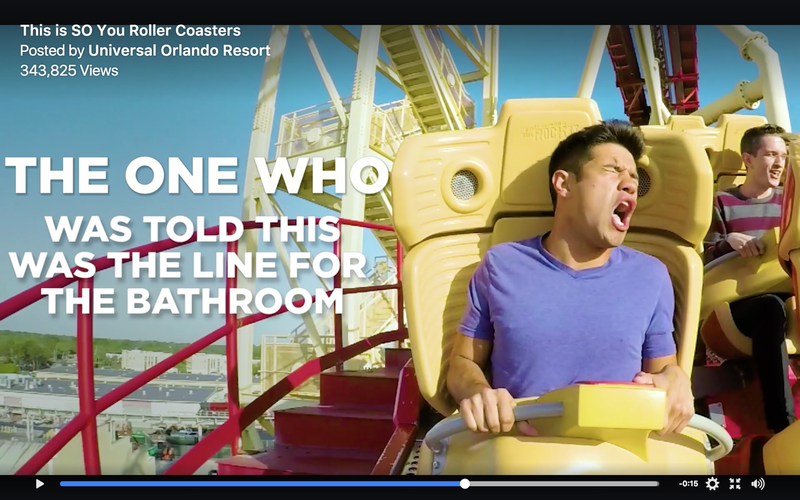 I love this segment because it introduces the togetherness of riding a roller coaster. Part of the joy of coasters is being strapped into this seemingly dangerous machine with a few dozen of your nearest and dearest strangers. It’s a bonding experience. It’s a sharing experience. For the young man in the stripes, it was a learning experience. Rarely do people go brave crowds, wait in lines, and strap themselves into steel-reinforced death rockets, by themselves. They go with friends and family. They go with those with whom they can laugh and play. 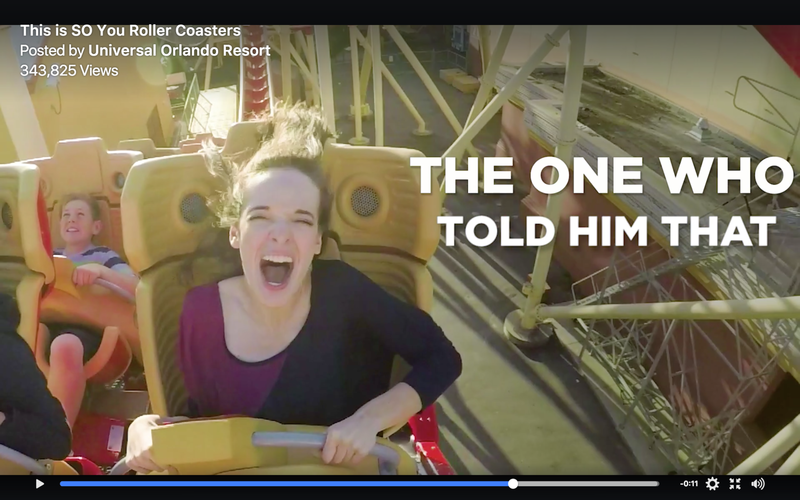 This segment is powerful because it hilariously captures a story played out among friends, a memorable experience made possible by the park. There is no formula for creating a post that will beat all algorithms. Don’t seek the perfect post. Seek content that best connects with your audience and communicates your brand story. 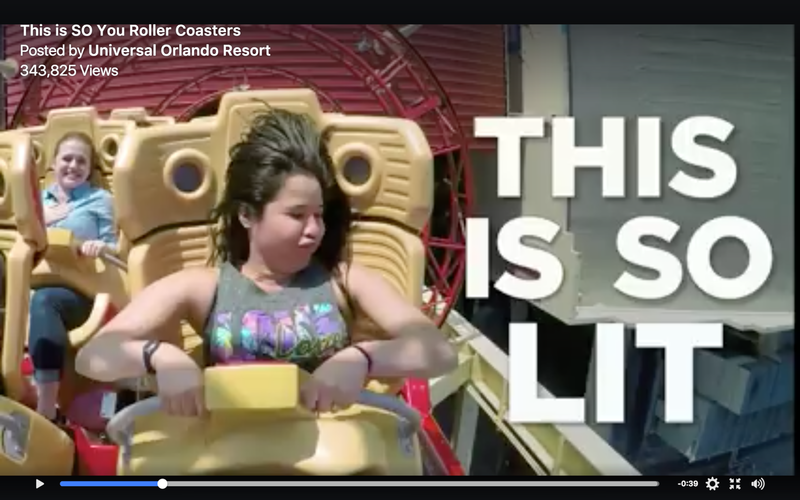 This ad is impactful because it features joy, comedy, diversity, community, and togetherness—all we need in life, and certainly all we need in an amusement park.